It is early on an August morning as a I awake for quite an unusual day out. Today I would be heading abroad- just for the day- to travel the 'traditional way' from London to France. Once a very common route with regular scheduled boat trains and stations next to the ferry terminals at both ends, since the commencement of Eurostar services the journey from London to Paris via Dover and Calais is now a little more difficult. 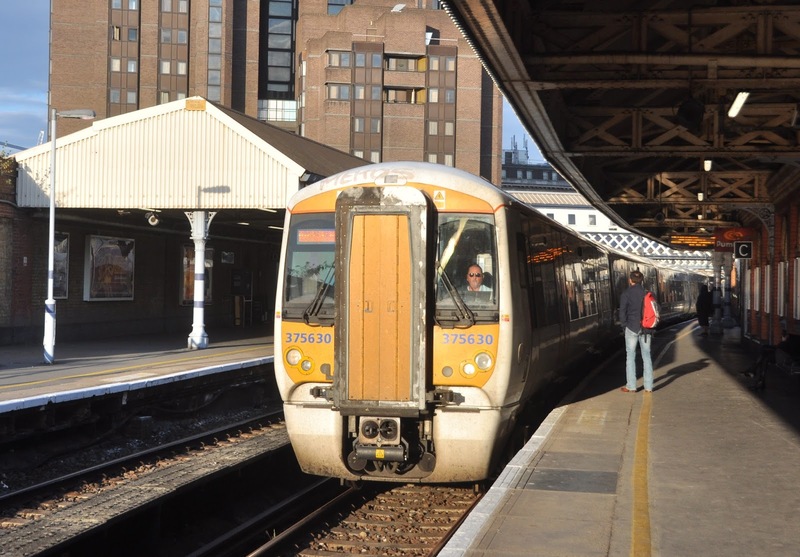 The journey starts in London, with a South Eastern train to Dover Priory- Dover Western Docks station closed in 1994 once Eurostar trains started, negating the requirement for an easy connection from train to boat. These days the connection is by taxi, or on foot (approximately 30 minute walk) as soon after my trip in August 2014 ferry operator P&O withdrew the shuttle bus which connects the station and the port. Not everything for the 'traditional' journey has disappeared however- bargain priced through rail ticketing is amazingly still available! London to Calais 'Day Tripper' tickets are still available starting from just £39.50 (as of April 2015)- These tickets carry no peak restrictions and allow travel on any train to Dover Priory, and any P&O ferry across to Calais, and back on the same day. A small extra supplement is payable to use high speed services in the UK. You can even get a 1/3 discount on these tickets with a railcard and buy from many other stations in the former Network SouthEast area! An absolute Bargain! Of course to make France and back in a day it is an early start- but allowing for the 45 minute foot passenger check in at Dover we make the 10:15 crossing to France on board the 'Pride of Burgundy' and were heading across the straight of Dover. What a beautiful day it was too! On a sunny summer's day there really is nothing I would prefer to do that sit up on the outside deck at sea- so this is exactly what I did for the duration of the roughly 90 minute crossing- watching Calais draw slowly closer, as the famous white cliffs of Dover slowly receded from view. There is a good catering service available on the P&O ferries as well as plentiful indoor seating should you not be blessed with the sunshine we experienced. Interestingly we had followed the former rail ferry 'Nord pas de Calais' most of the way across the channel- until the opening of the Channel Tunnel this was the way that rail vehicles made the journey across the straights of Dover. Built in 1987 she had a very short life as a rail ferry and now continues to see use with My Ferry Link on freight only services due to her limited passenger carrying capacity. Like the stations at Dover Western Docks and Calais Maritime the rail ferry traffic ceased soon after Eurostar operations began in 1994- most freight was now able to pass through the tunnel while passenger traffic between London and Paris by boat almost vanished. Many predicted the end of the cross channel ferries as well- but this has certainly not proved to be the case! The transfer from the ferry to the town of Calais is easier than at the British end as this time there is a bus, though the cost of this is not included in the ticket price. The bus drives a rather circuitous route around the town to reach Calais Ville Station. Across the road is Calais' landmark Hotel de Ville with it's stunning clock tower which can be seen from many miles away on the ferry. One could quite happily while away the day in Calais before taking the boat back across the channel to the UK- but there are also options to continue the rail adventure to other towns in the area, or of course to abandon the day trip and continue on the full traditional journey right through to Paris. Crossing the viaduct at Wimmereaux viewed from the train. Local TER trains depart from Calais Ville heading to towns along the coast such as Dunkirk, Boulogne and Etaples (for Le Torquet). One of my favorites is the smaller town of Wimmereaux between Calais and Boulogne which boasts a traditional shopping street and pleasant beach- once the home to rich Britons wishing to escape to their summer homes in France. For long distance travel TGV trains also call at Calais Ville heading to Lille and Paris. BB67533 in the traditional blue livery waits to leave Boulogne with the traditional Intercities service to Paris gare du Nord. TER train at Calais Ville. 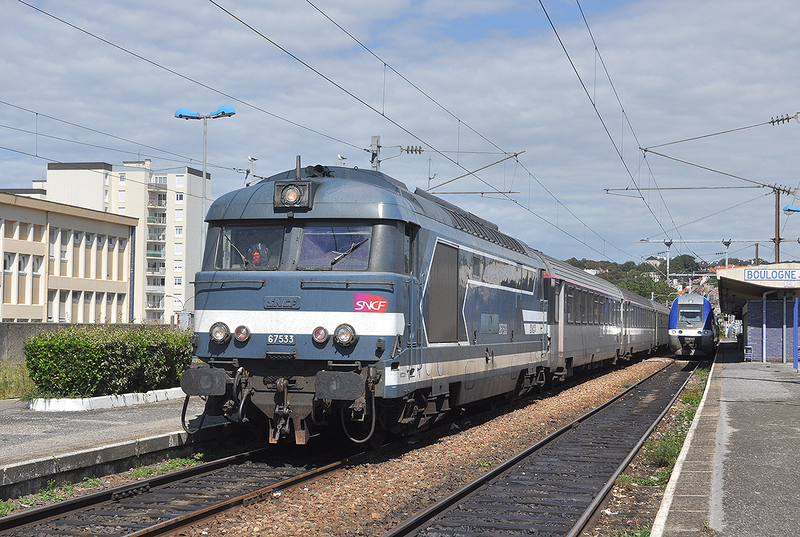 By taking a TER train to Boulogne it is still possible to connect onto traditional loco-hauled 'Corail Intercity' trains to Paris several times a day. While somewhat slower than the TGV service there is still something nice about traveling in a traditional train and arriving in Paris without having covered the high speed network. Sadly I would have to wait for another day to make it all the way to Paris for I would be using the return portion of my 'Calais Day Trip' ticket. It feels like it has been quite an adventure- and certainly helped by some stunning weather. Watching the sun set over the straights of Dover from the Spirit of France is the perfect end to a long but very enjoyable day. I've just got the delights of night trim travel back to London left to look forward to now- but at least I have a rucksack full of French goodies! Next time you fancy a day out with a difference - without breaking the bank - how about setting sail for the France day trip? Thank you for your report, i wanted to know if the Calais Day Tripper Ticket does still exist and you gave me answer... and beautiful photos! same here, I'd like to do this day trip. Is this ticket still available? Where can I buy it? The tickets are still available. 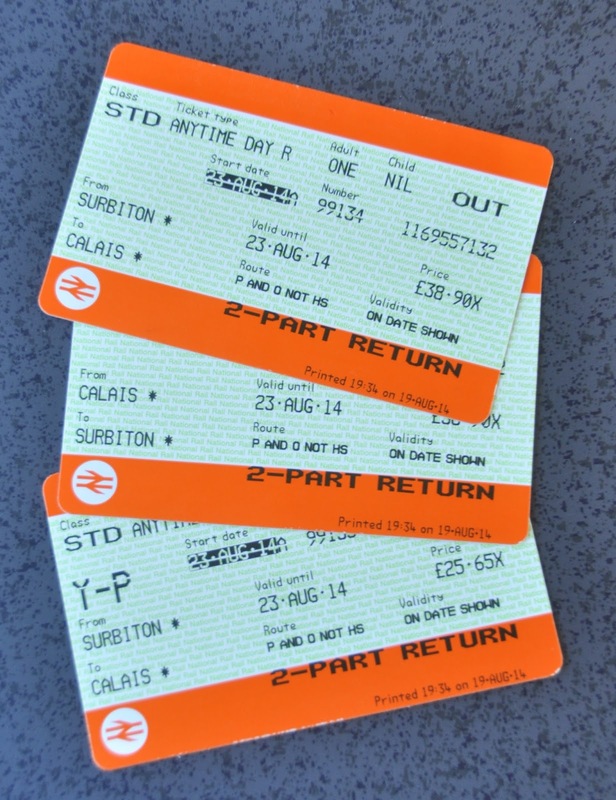 You will need to ask at a ticket office for a Calais Day Return. Most (but not all) stations in the South East can sell them. Would it be possible to buy a Calais to London day tripper? I.e use the London - Calais return just as an outbound ticket...Spend a few days exploring...Then buy a Calais-London return (but just use it as a return leg)? Hello- you can certainly do that trick with the outbound journey, simply discarding the return part of the ticket once you are in France. I've never tried coming back with another ticket and this is reportedly a little more difficult (for starters you can't buy it in France). 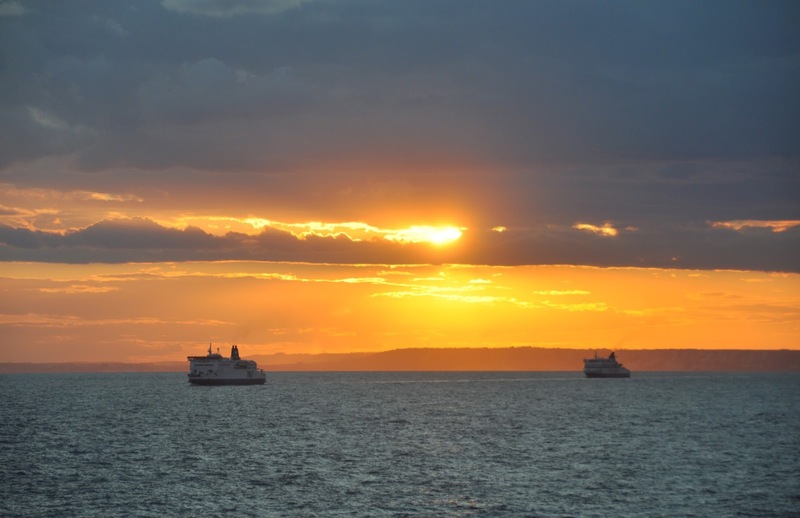 You should be able to buy the ticket for an advanced date before you leave the UK, however you may find that both parts of the ferry ticket are issued by P&O at Dover and you may struggle to get on the boat at Calais without your outbound boat ticket. The man in Seat 61 reckons this is possible (See http://www.seat61.com/London-Paris-ferry.htm#Calais_Day_Tripper) but similarly I would be interested to hear how you get on if you try it! Hi, is there an option for an open return ticket? Hi- The ticket only comes as a day return.